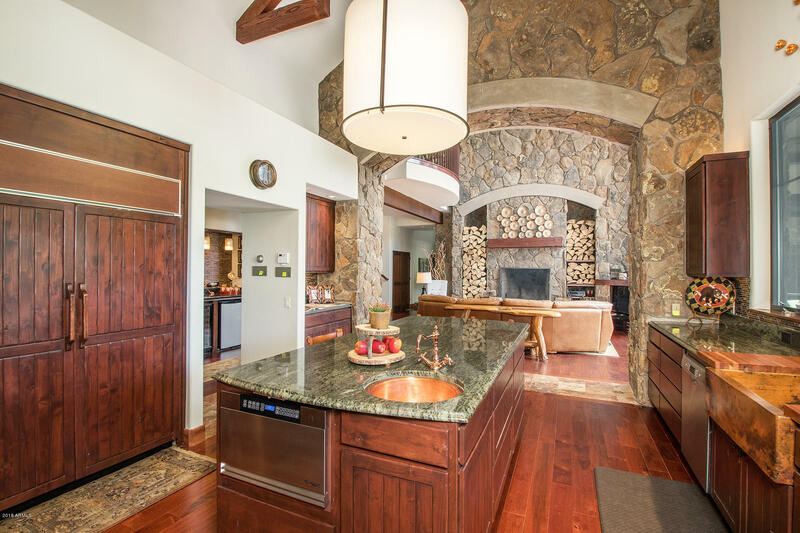 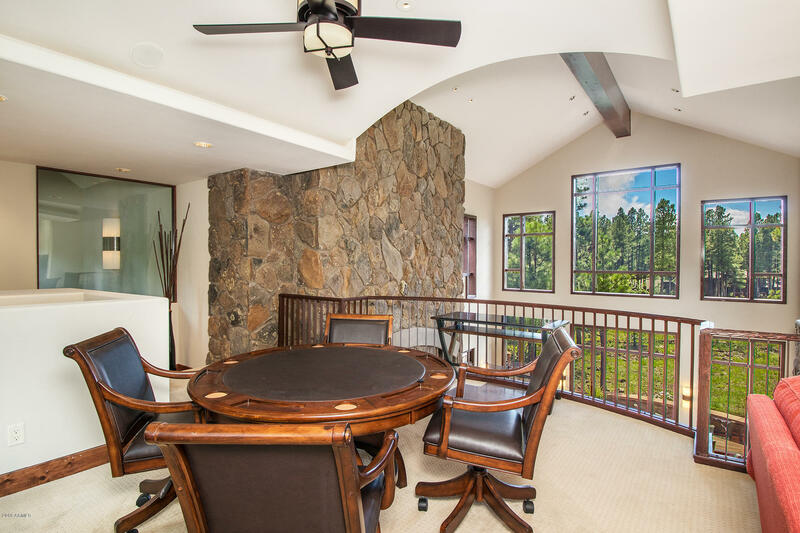 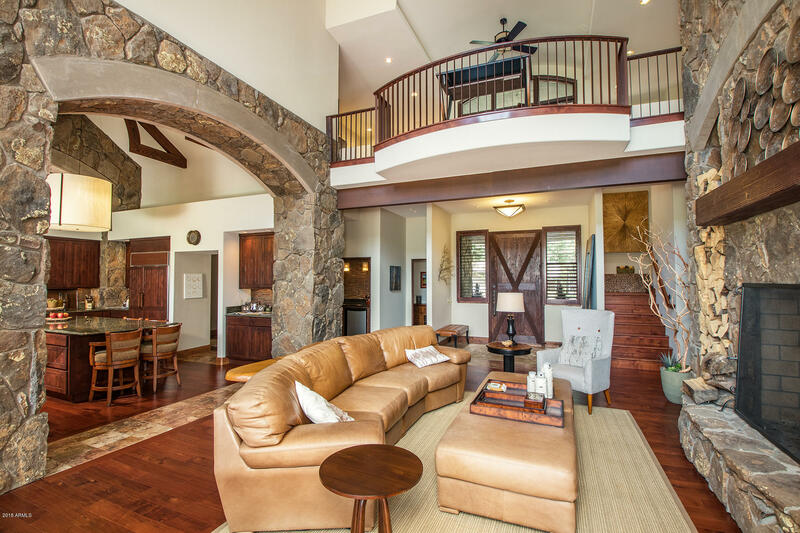 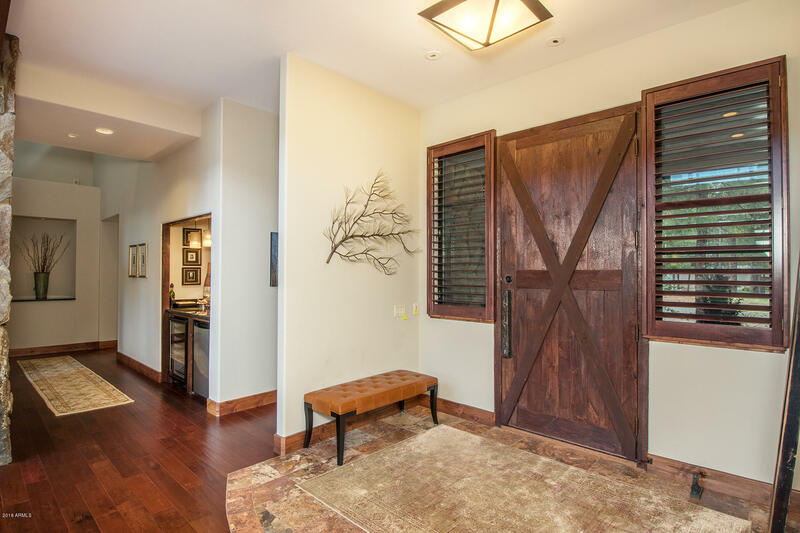 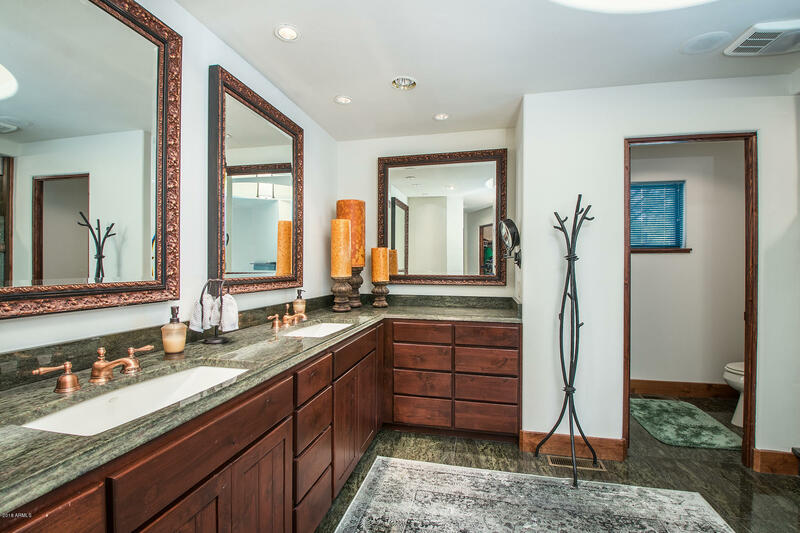 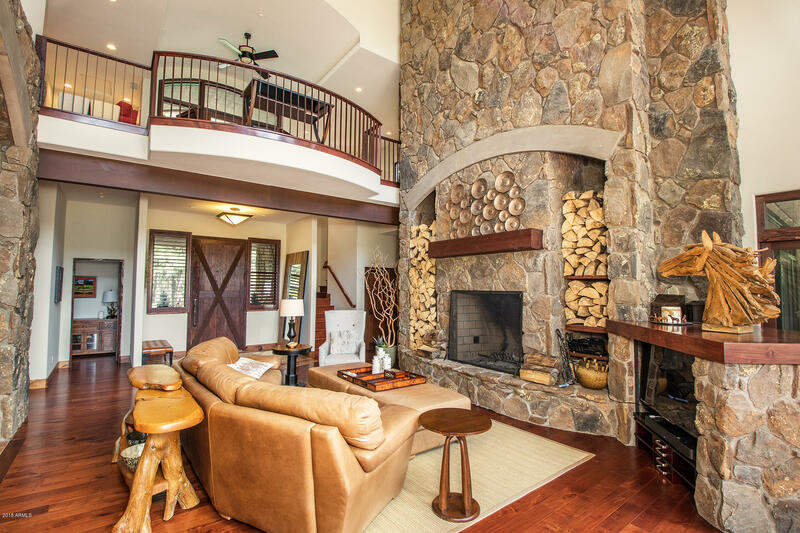 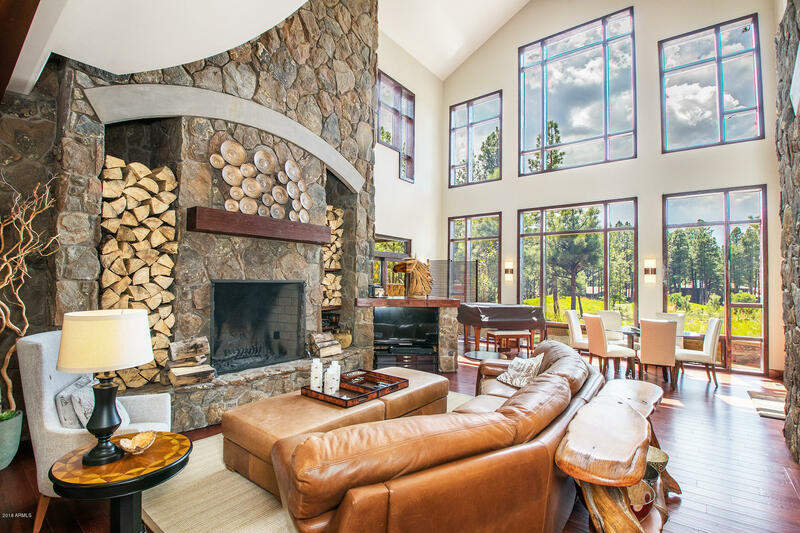 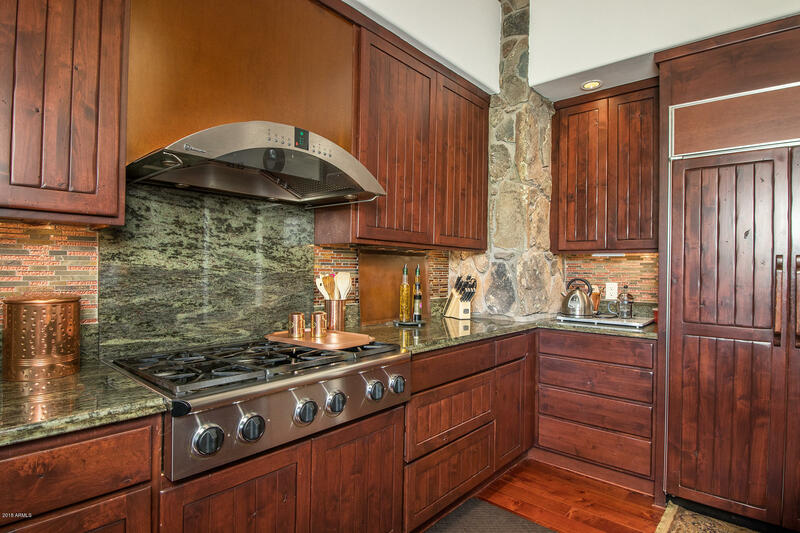 Inviting and refined exemplify this executive home in the exclusive mountaintop community of Forest Highlands. 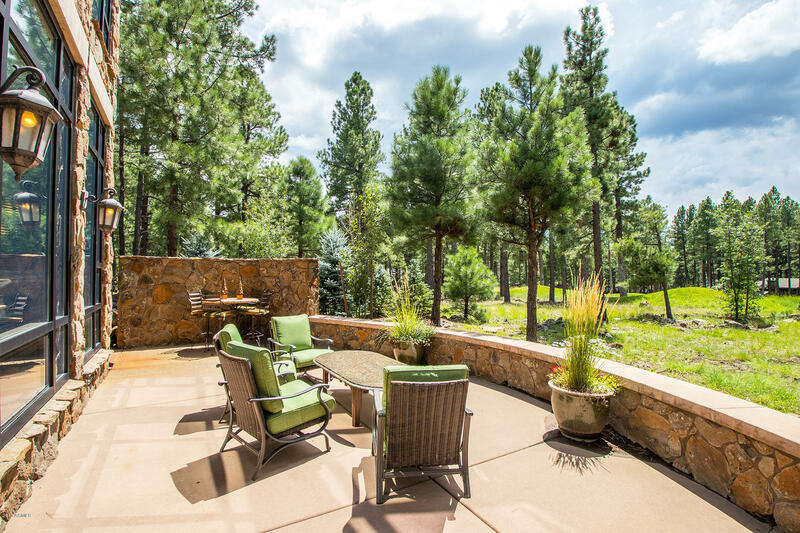 A generous, professionally-landscaped outdoor space, rich in shrubs, trees and flowers, frames the beautiful stone work of the home, creating an elegant first impression. 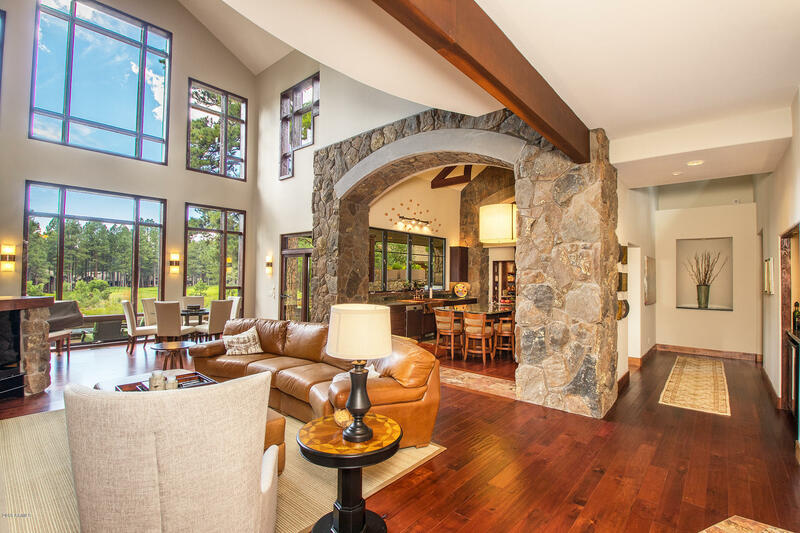 Upon entering the bright and tastefully-appointed great room, flanked by a wall of windows showcasing the evergreens and blue sky and warmed by an impressive wood-burning fireplace, this home delivers on thoughtful details, from the wood floors and wooden framing throughout the living space, to the exposed-beam and stone archways. 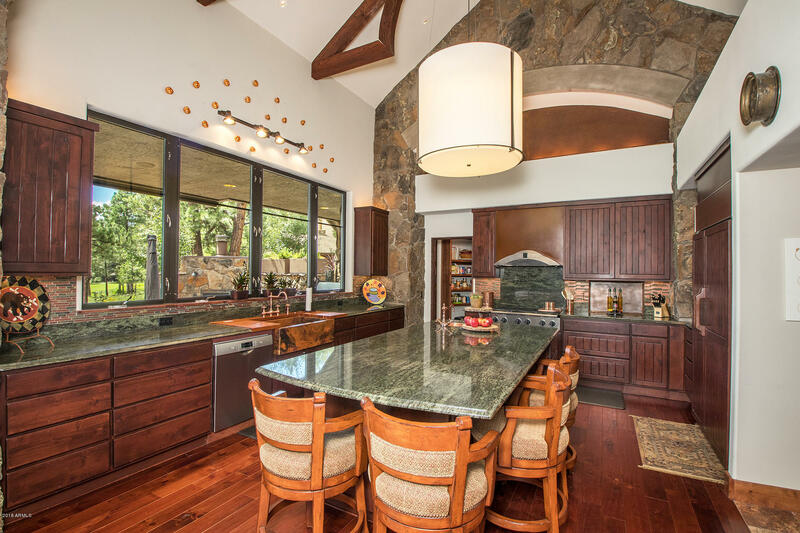 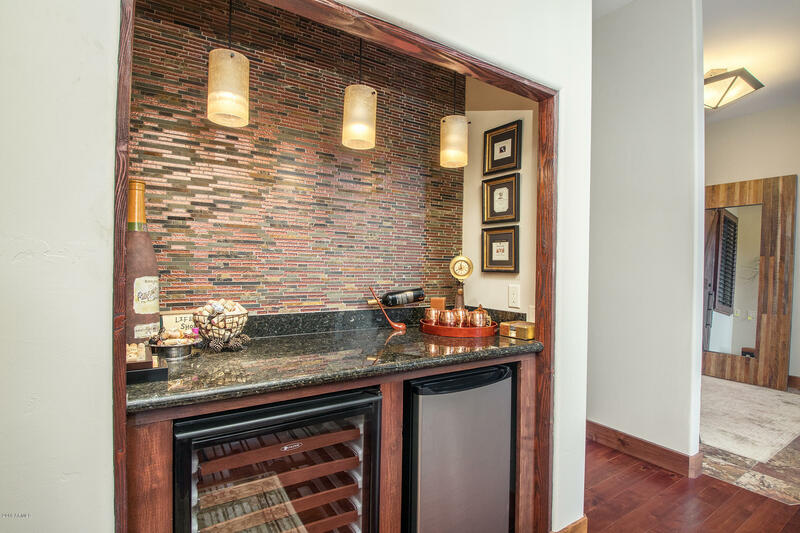 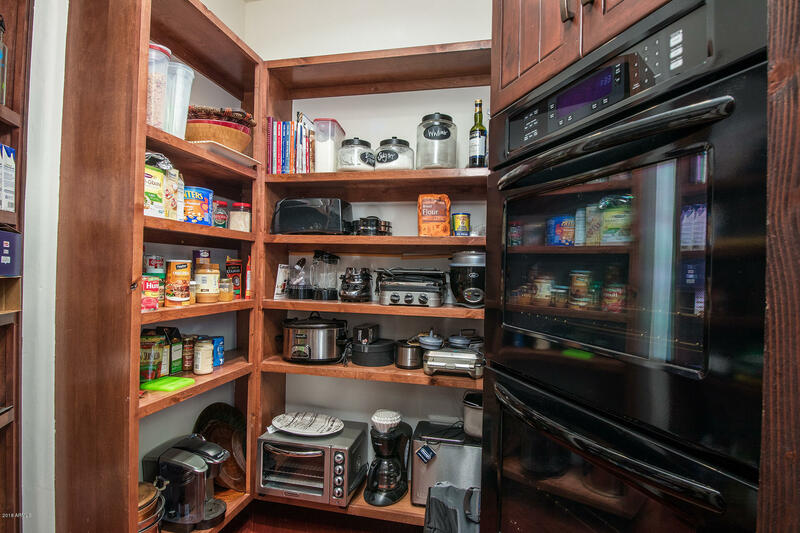 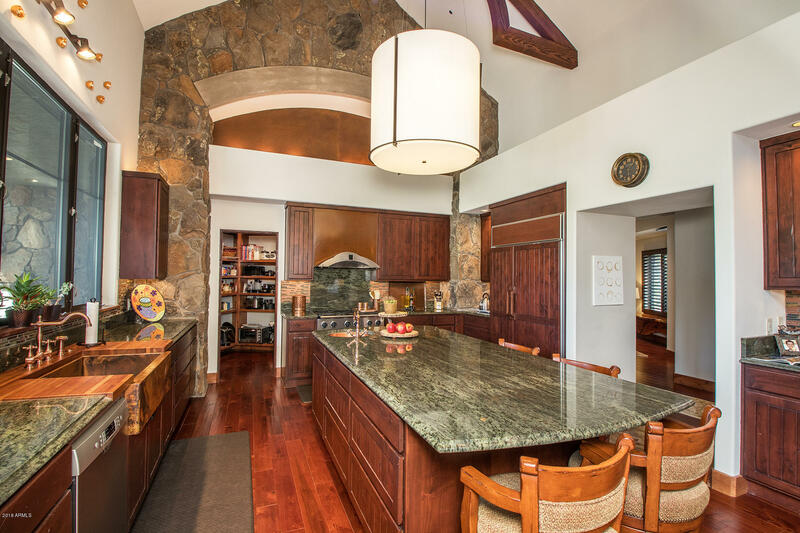 Entertaining is seamless with the open-concept design to the kitchen, where all new appliances, granite countertops, glass tile backsplashes, refrigerated bar, farm sink with copper fixtures, walk-in pantry and functional breakfast bar allow for a relaxed and highly-functional space. 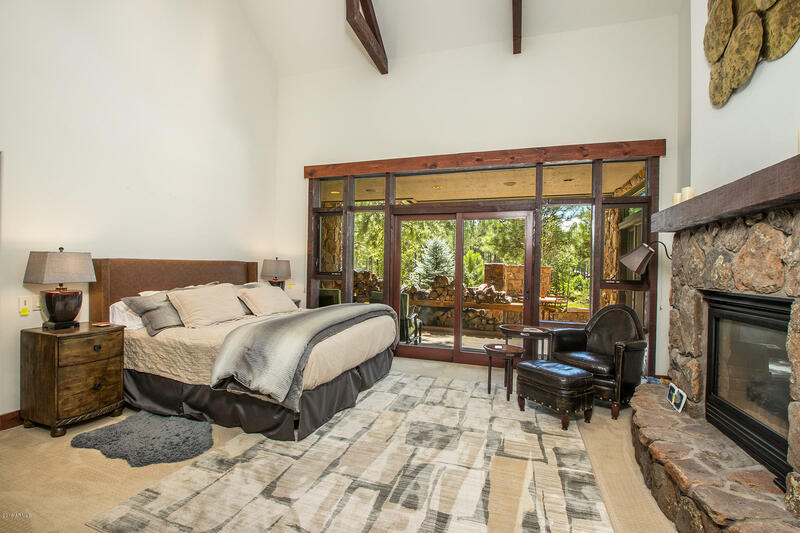 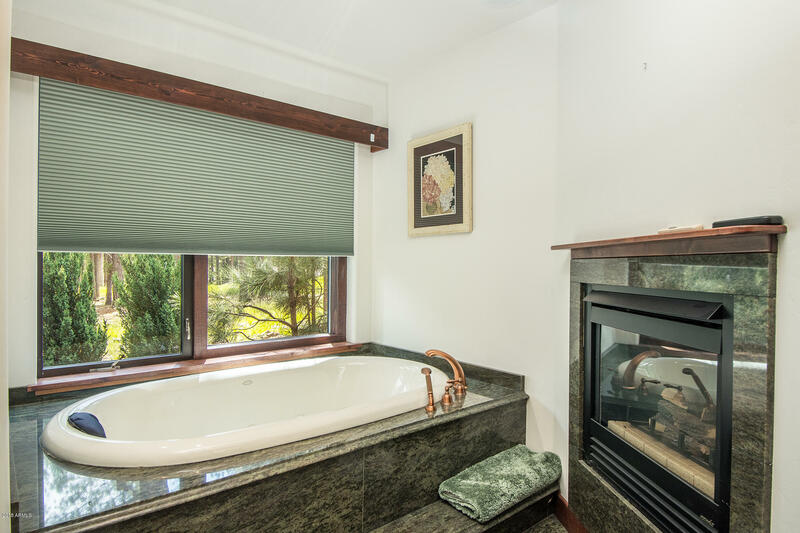 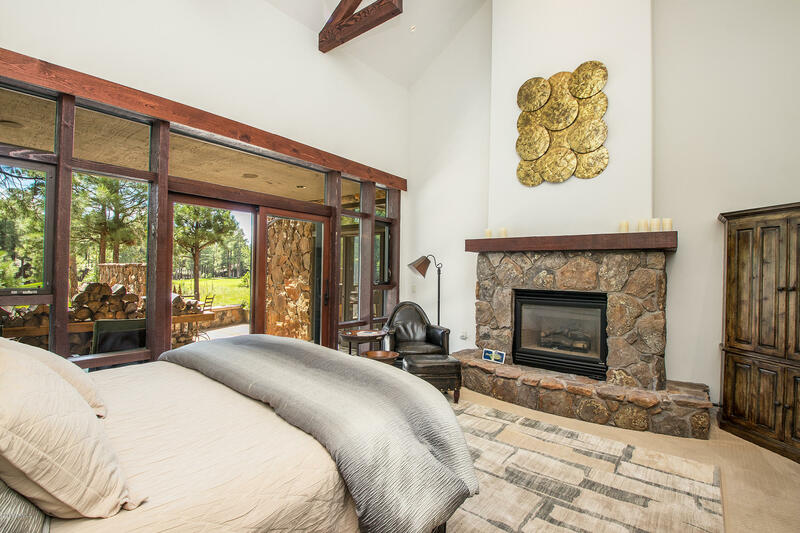 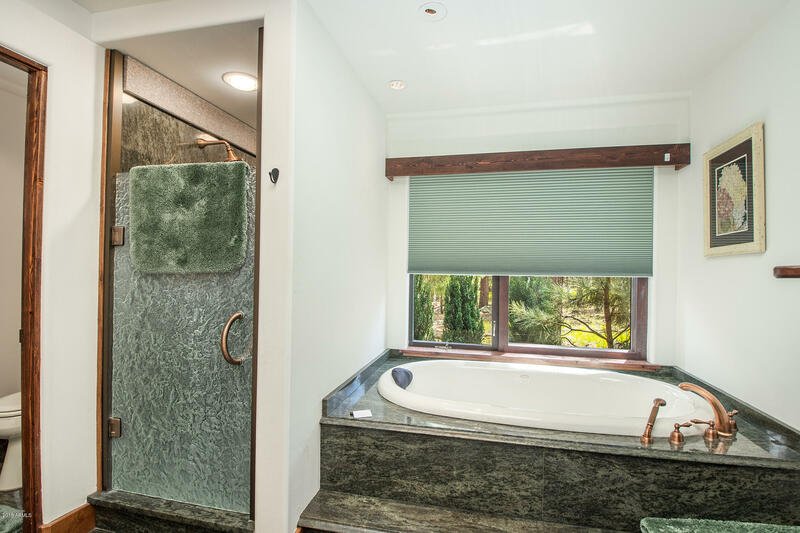 The en suite master bedroom is a retreat in itselfâ”gas fireplace, access to the stone-encased patio, as well as a soaking tub and separate shower. 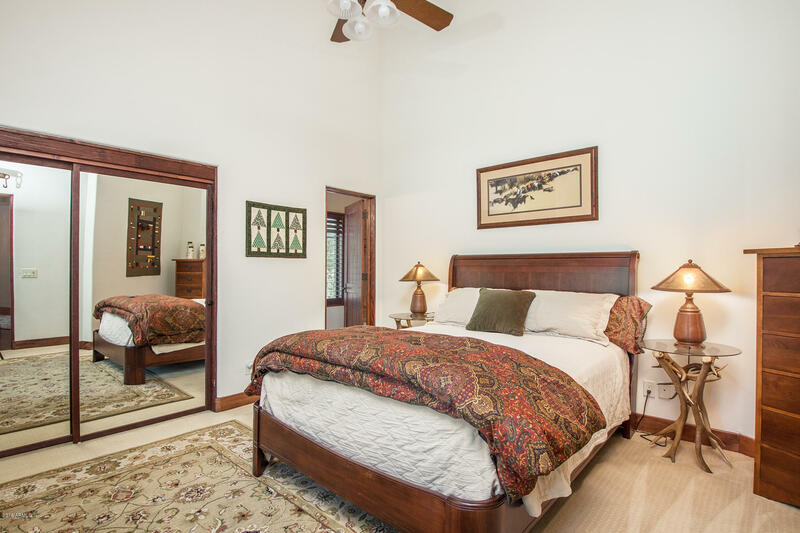 Two additional, generously-sized bedrooms and bath allow for family or guests, and an upstairs loft can be used as a separate family room or office. 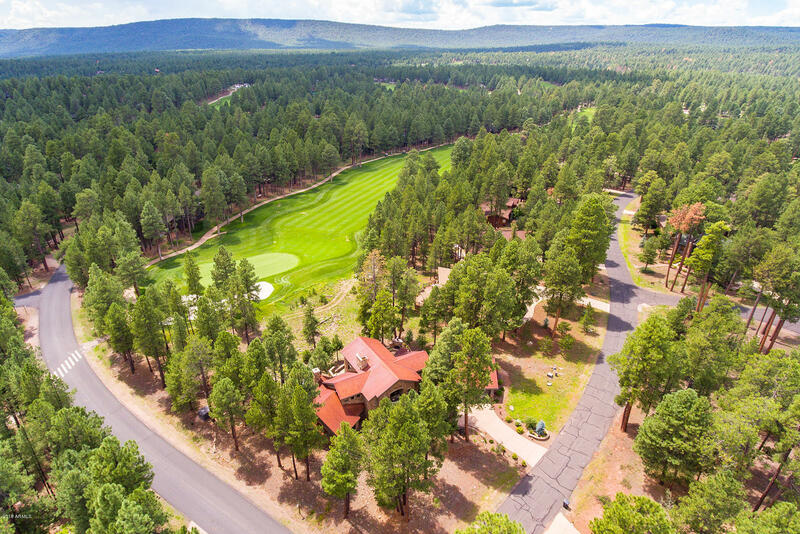 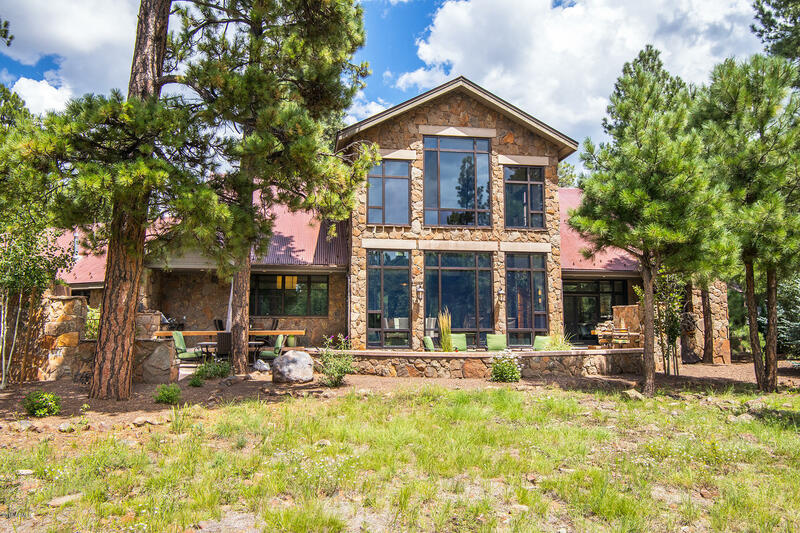 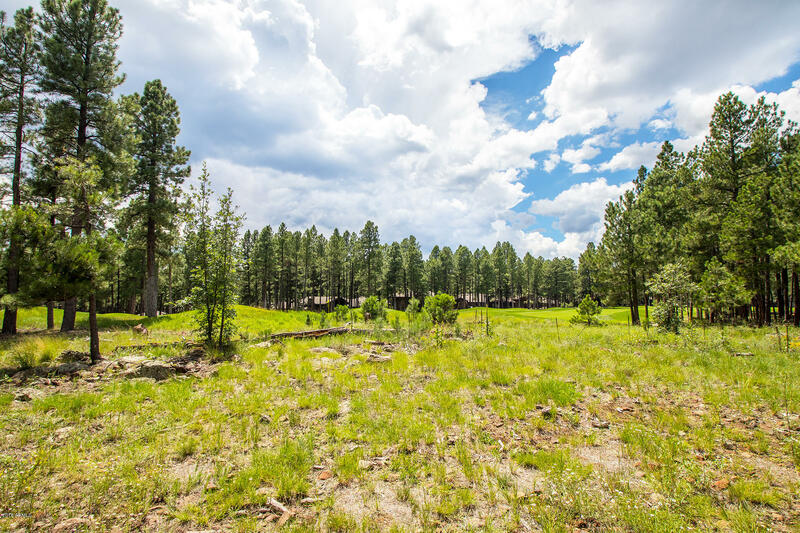 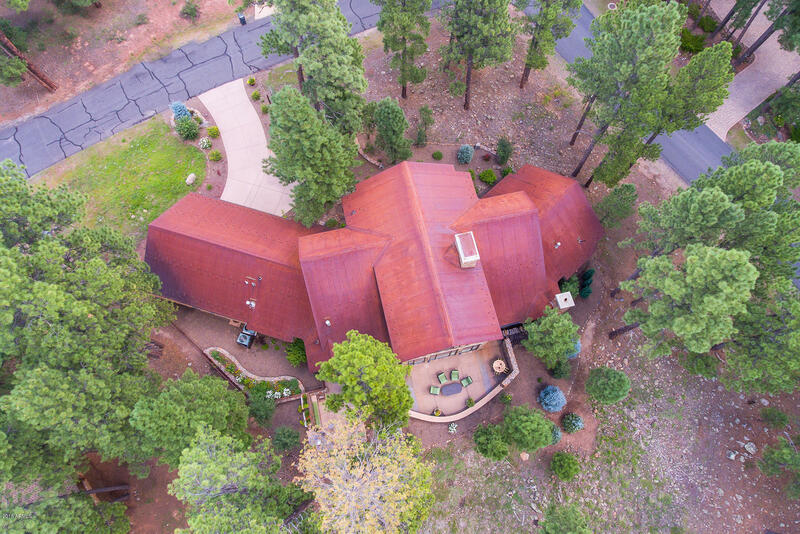 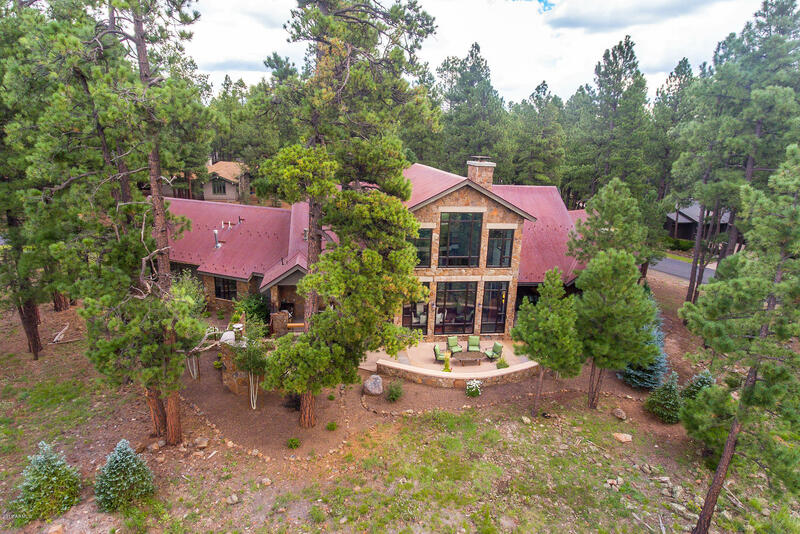 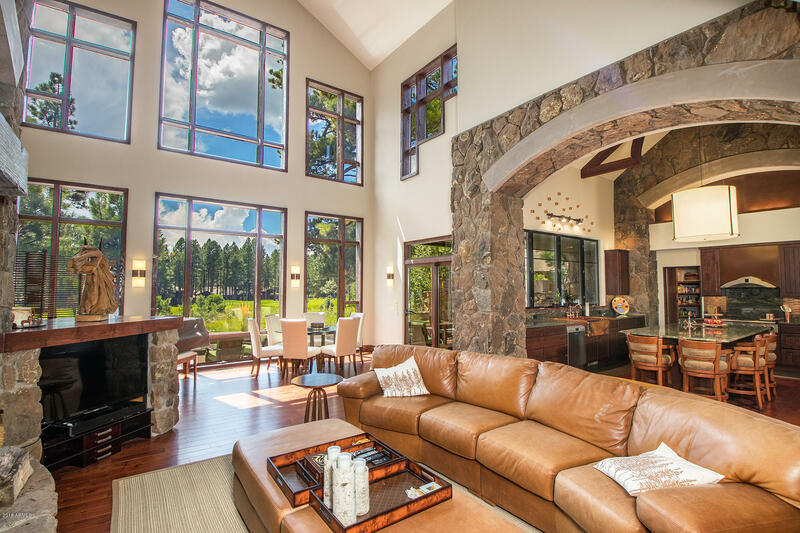 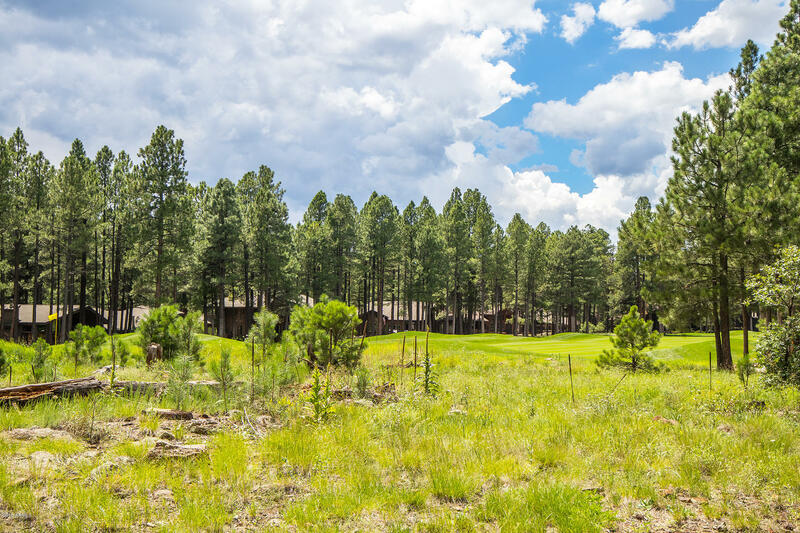 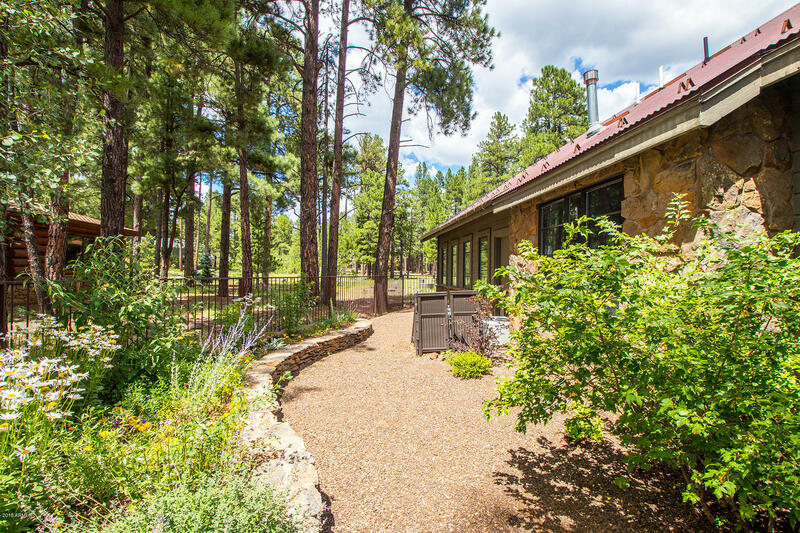 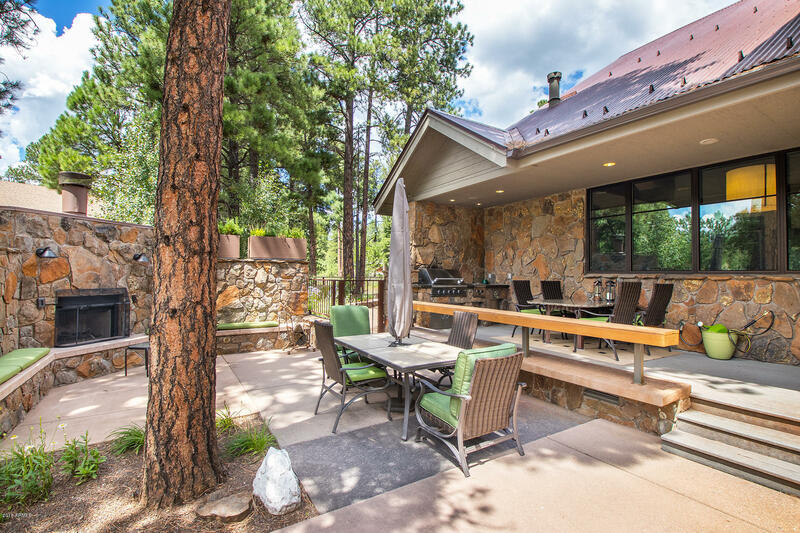 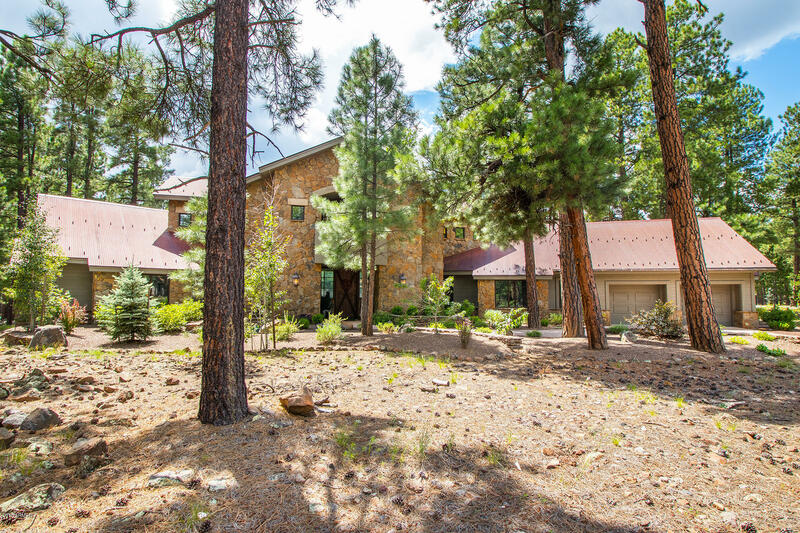 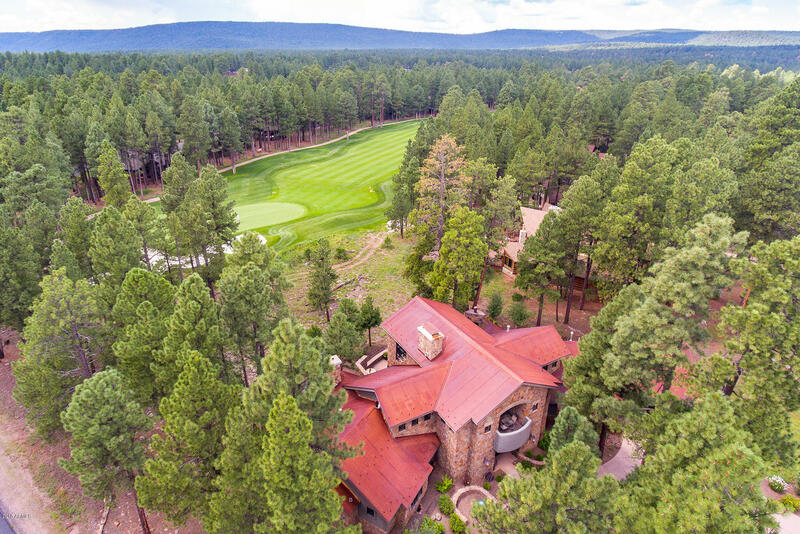 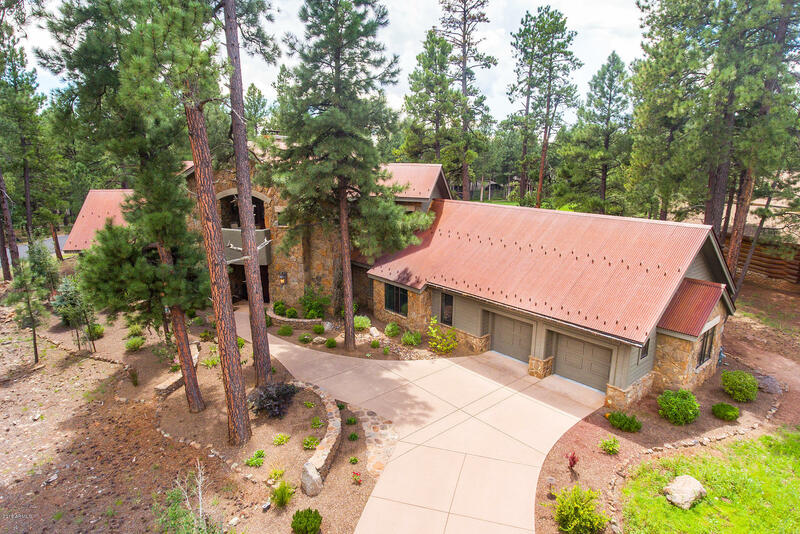 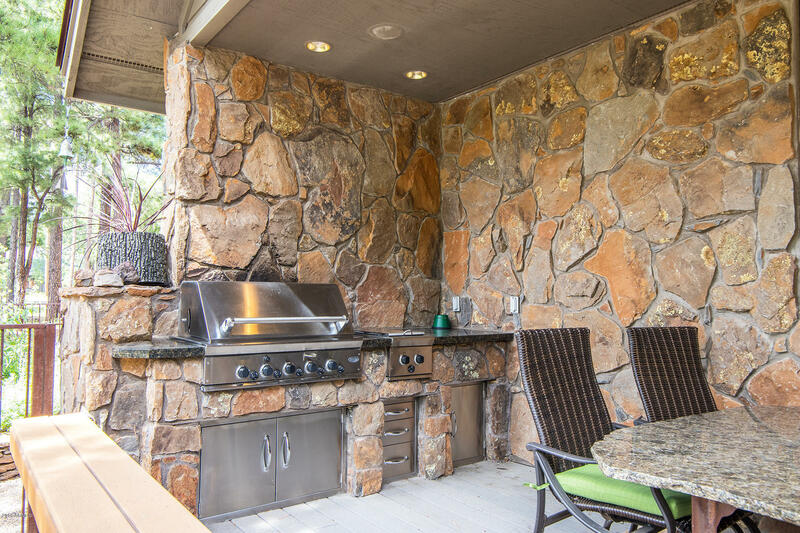 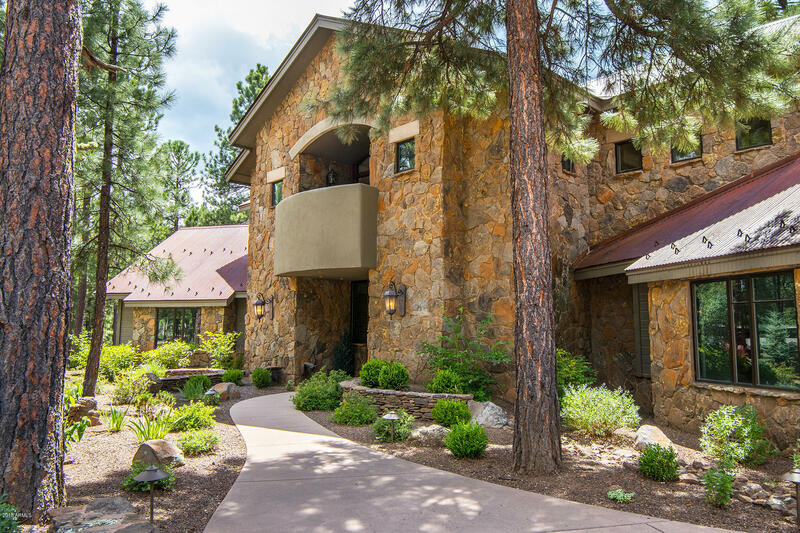 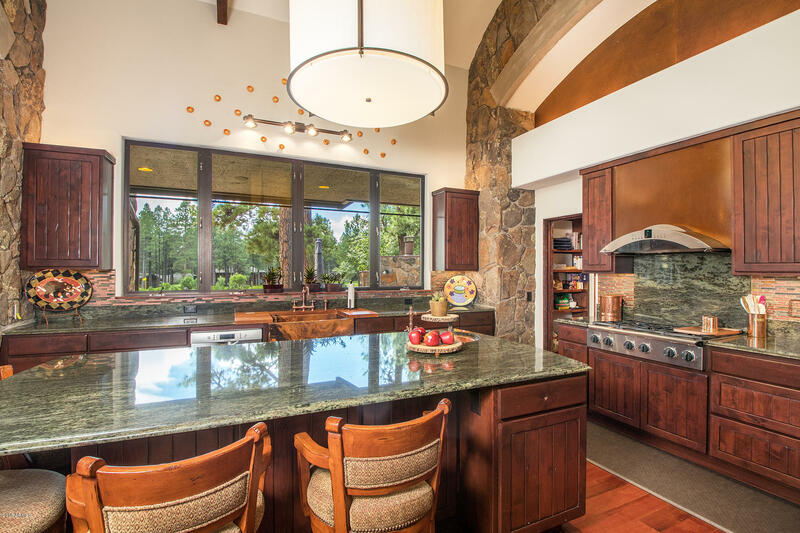 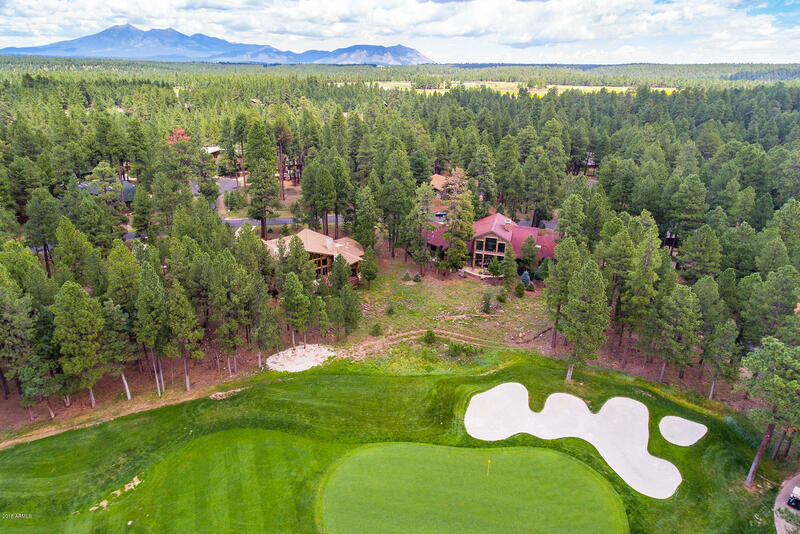 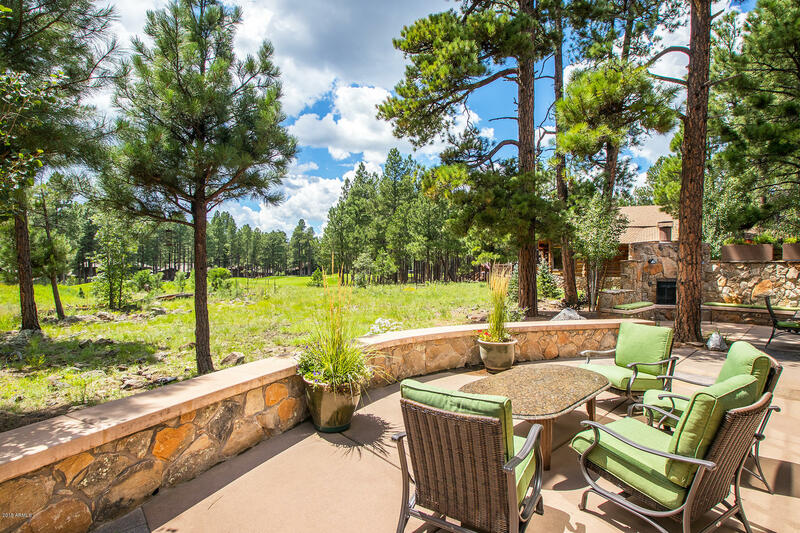 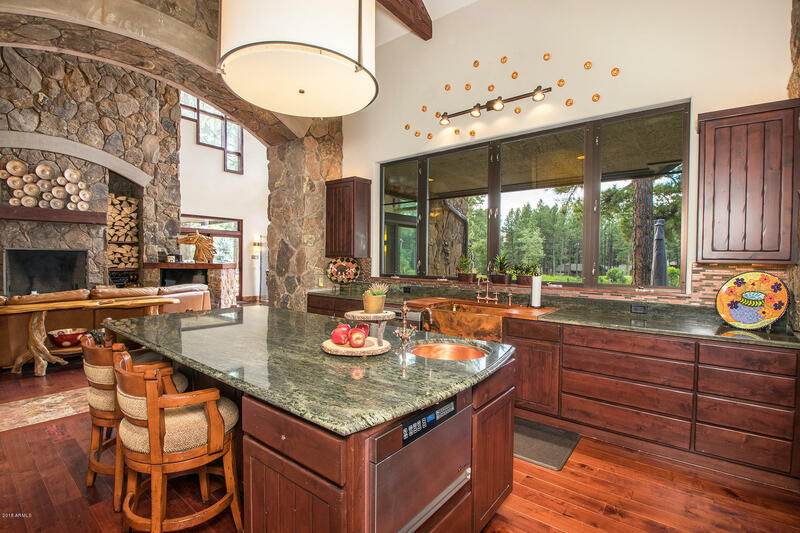 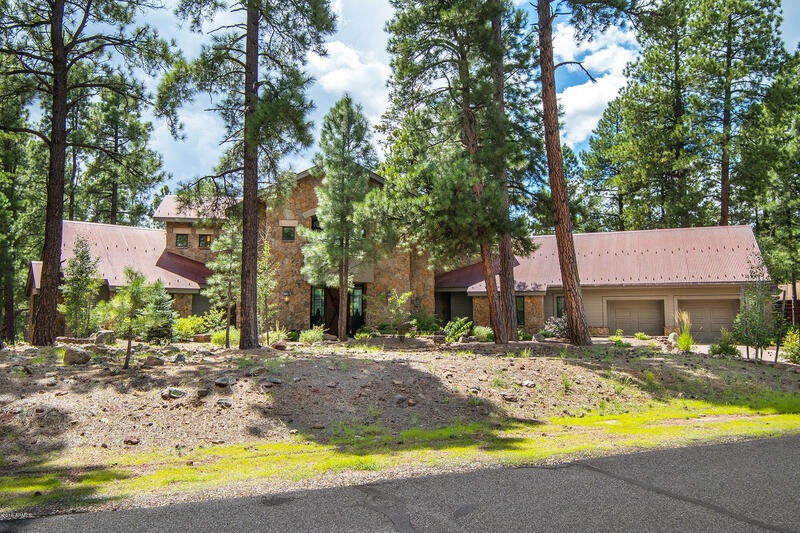 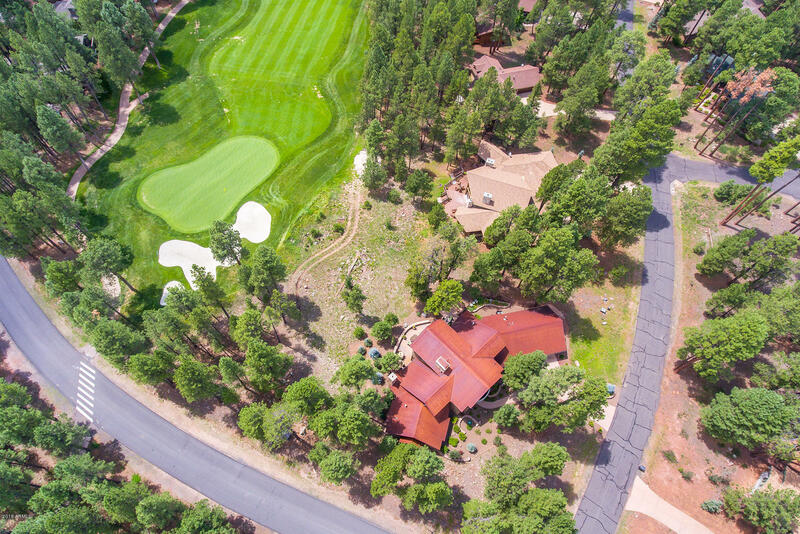 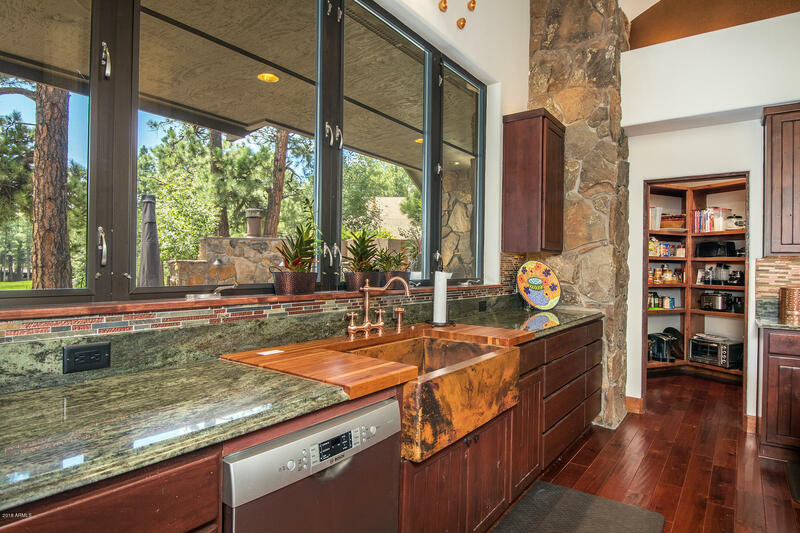 The outdoor area of the home takes in the natural grandeur of northern Arizona, with covered and open patio arrangements, as well as a built-in gas grill with recessed track lighting above, allowing for outdoor entertaining on the darkest of nights. 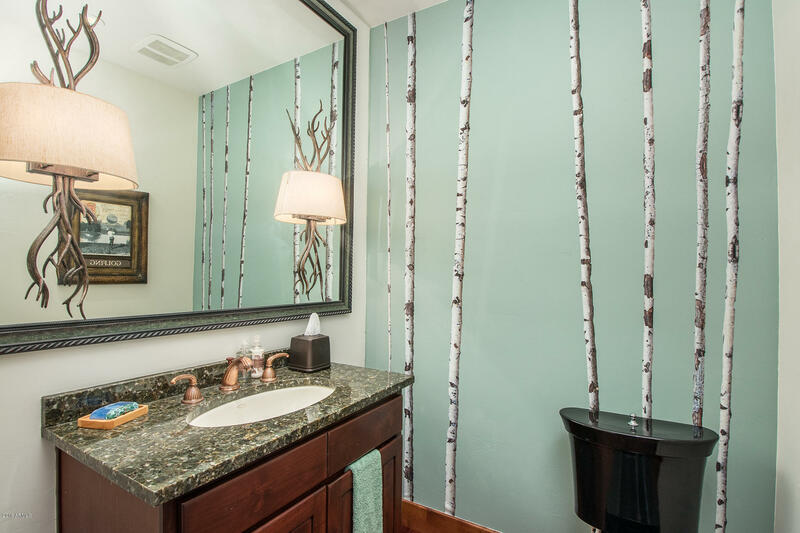 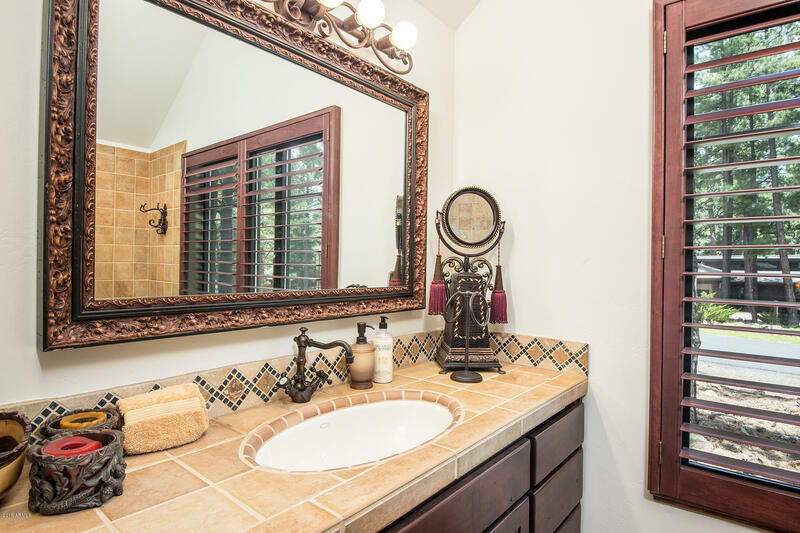 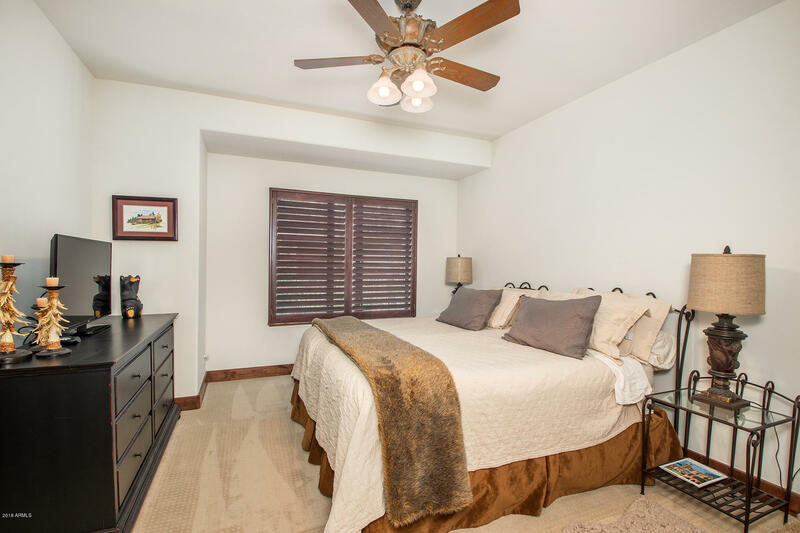 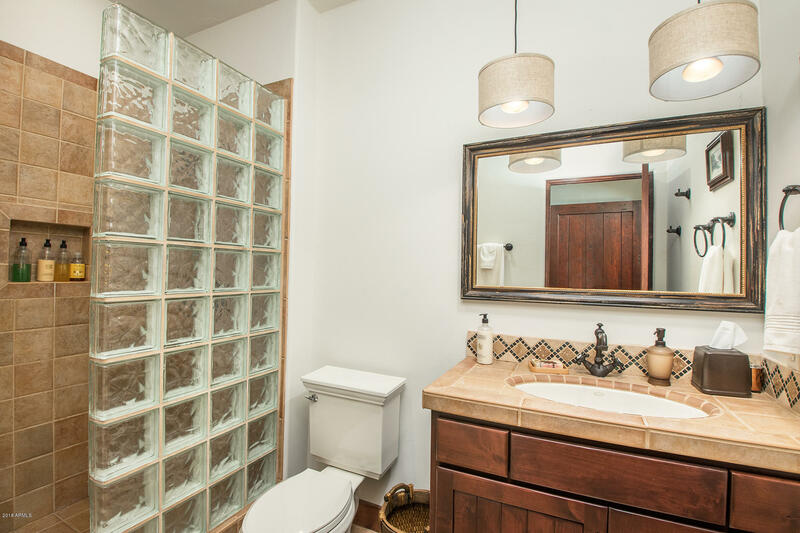 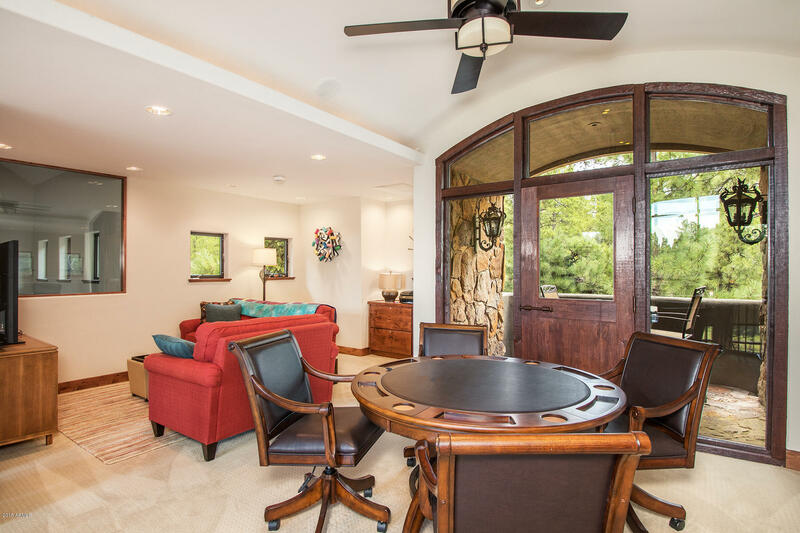 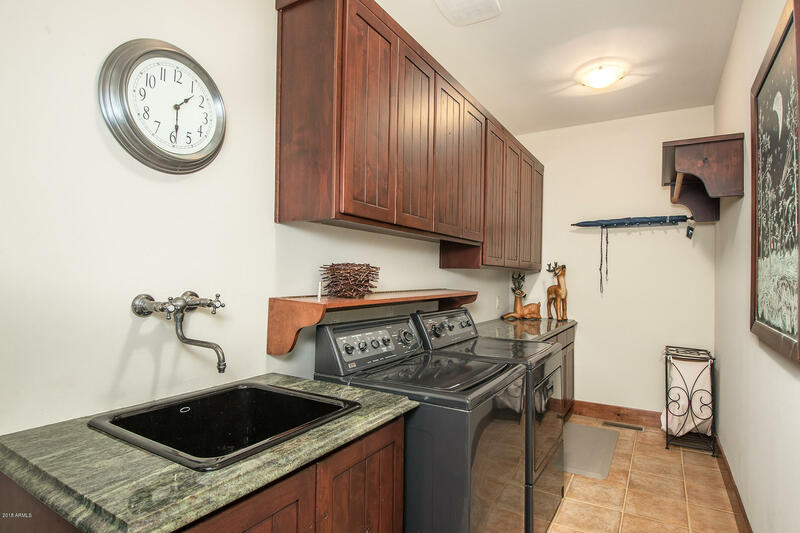 Additional attributes include new carpet, plantation shutters, replacement of light fixtures with LED, contemporary components, fans throughout the rooms and loft, built-in rock benches in the patio area with 6-foot privacy rock walls and a recent renovation to the outdoor kitchen.